Thanksgiving is just around the corner. Gravy can either make or break the holiday spread depending on your preparation success. 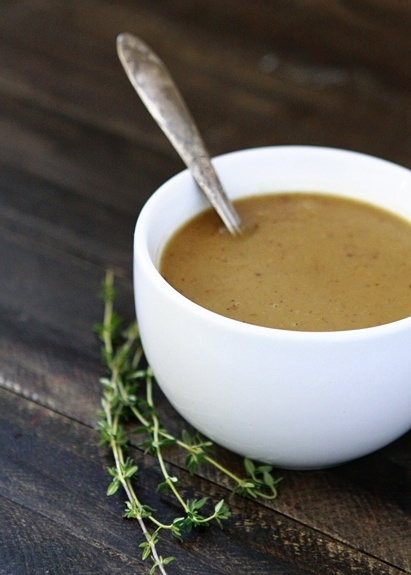 Follow these tips for flavorful and lump-free gravy to serve alongside your roasted turkey. Are you a gravy fan or a cranberry sauce fan? Personally, I like both, but I often skip gravy in favor of making my cranberry sauce because I know I can easily prepare that a day or two in advance. However, I don’t mind making gravy if there are others at my Thanksgiving table who would like to enjoy their roasted turkey with a spoonful of gravy made from the flavorful turkey drippings. Gravy is also tasty over a pile of Roasted Garlic Cauliflower Mashed Potatoes. Save this recipe for How to Make Turkey Gravy with No Lumps to Pinterest! Making gravy without lumps can sometimes be a tricky task, especially when you’re tired after spending the day preparing your Thanksgiving meal. 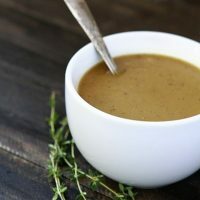 I’ve broken the task down into 5 Steps to Perfect Lump-Free Gravy! Apple Cider Sage Brine features fresh apple cider, bay leaves, allspice berries, black peppercorn and plenty of fresh sage for a nicely aromatic turkey brine. Learn How to Make Fresh Herb and Citrus Brine for a stellar turkey! This fresh herb and citrus turkey brine infuses roasted turkey with so much flavor thanks to tons of fresh herbs and citrus peels. Brining really helps keep the meat moist. 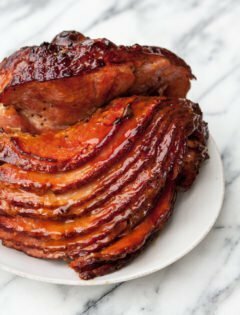 If you’ve ever struggled with roasting a moist turkey, check out my Turkey Roasting Tips – Roast a Moist, Flavorful Turkey. A few small changes can really make a difference when it comes to flavorful and moist or dry and bland. 1. Pour drippings from the turkey into a large glass measuring cup. Let sit until all the fat rises to the top. Spoon the fat off of the top of the drippings into a separate container. 2. Add enough broth to the remaining drippings to equal the total amount of gravy you want for your finished product. Example: You have 2 cups of drippings and want 3 cups of gravy. 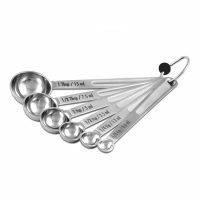 You will add 1 cup of broth to measuring cup containing the drippings. Note: If you have brined your turkey, the drippings may be saltier that you intend your gravy to be. In this situation, I add water rather than broth to my drippings. If you follow my instructions for brining, then you are also adding water to the bottom of the pan during the roasting and this helps dilute the saltiness somewhat. 3. In the turkey roasting pan (if it is sturdy, stove-top safe, and not a disposable pan), a cast iron skillet or saute pan add 1 tablespoon of the removed fat per 1 cup of liquid drippings you plan to use. Add 3 tablespoons of flour per 4 tablespoons of fat you are using to the pan. 4. 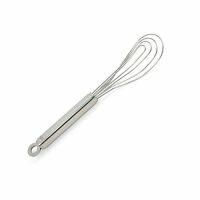 Cook the mixture, whisking constantly – I like a flat whisk – over medium for a minute or two to combine well and remove the raw taste from the flour. Very slowly pour in the reserved drippings mixture, whisking constantly as you pour. Bring the mixture to a slow boil over medium heat while whisking. 5. If you would like an herb flavor, add a sprig or two of thyme and/or sage while bringing the mixture to a boil. Then turn the heat to low and keep warm until ready to serve. Re-whisk just prior to serving. Discard herbs, if using. 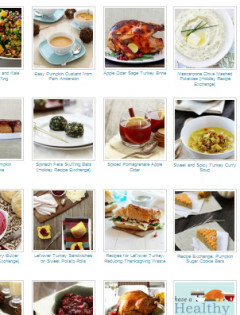 What do you prefer to top your turkey with? If you’re looking for a cranberry sauce recipe, try my Cranberry Orange Walnut Relish or my Red Wine Pomegranate Cranberry Sauce. The relish offers a chunkier sauce thanks to whole cranberries and chopped walnuts. If you prefer a silky smooth sauce, I recommend the Red Wine Pomegranate Cranberry Sauce – the whole cranberries are cooked and then blended. Love this post for How to Make Turkey Gravy with No Lumps? Thanksgiving is just around the corner. Gravy can either make or break the holiday spread depending on your preparation success. Learn how to make delicious herbed turkey gravy with no lumps! 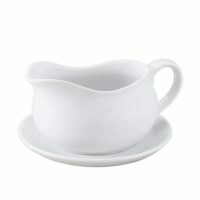 Pour drippings from roasting pan into a glass measuring cup or a fat separator style measuring cup. Reserve 1/4 cup of fat in another measuring cup and discard the rest. Add enough broth to the remaining drippings to equal the total amount of gravy you want for your finished product. For example, if you have 2 cups of drippings and want 3 cups of gravy. 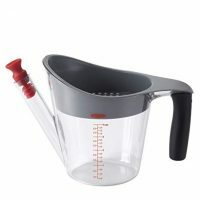 You will add 1 cup of broth (or water or a combination of broth and water) to the measuring cup containing the drippings. 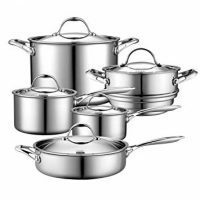 In the turkey roasting pan (if it is sturdy, stove-top safe, and not a disposable pan), a cast iron skillet or saute pan, add the reserved fat and the flour, whisking to combine. Cook the flour and fat mixture for 2 minutes over medium heat to remove the raw taste from the flour. Slowly add the drippings mixture, whisking constantly, to keep the mixture smooth. Once all of the liquid has been added, stir in the rosemary, thyme, and sage and bring the mixture to a boil, stirring constantly, and cook for 1 minute. Remove and discard the herbs, season to taste with salt and pepper (if desired). Serve. If you have brined your turkey, the drippings may be saltier that you intend your gravy to be. 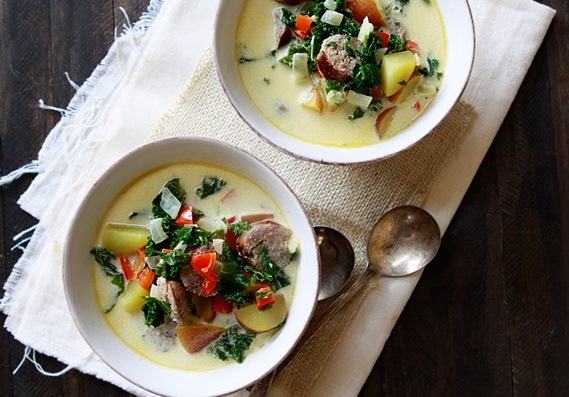 In this situation you may want to add water, rather than broth, to the drippings. Did you make this recipe? I’d love to hear what you thought! Leave me a comment below. If you don’t add salt to the water you cooked white potatoes in, that water will reduce the saltiness. Potato water also fabulous for No-knead Refrigerator bread. I normally have two servings of turkey – one with the gravy and one with the cranberry sauce. It would be too hard to choose between the two! Thanks for the great tips here Katie. Definitely making your cranberry relish again this year too. I top my turkey with all of the above! Sauce and gravy. =) Awesome tips, Katie. Pinned! I honestly prefer gravy, so these tips are great!